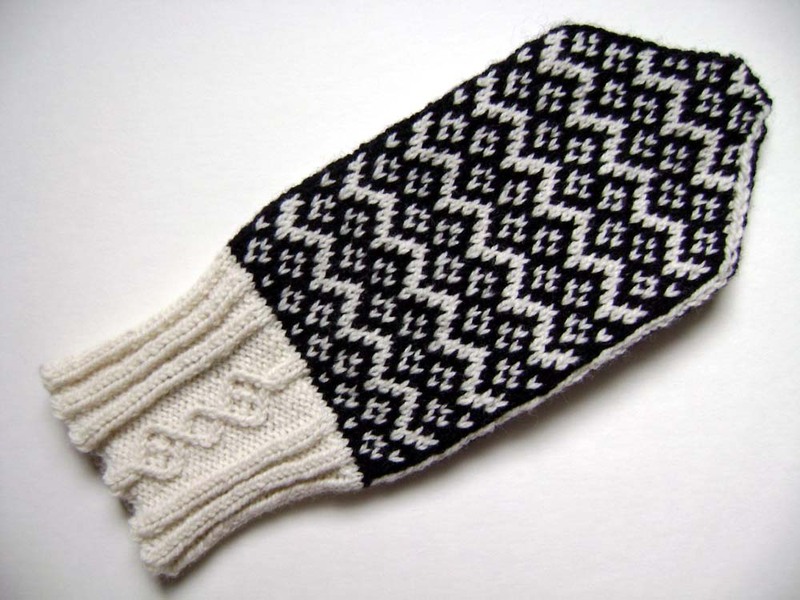 The Sound Of Music-inspired Warm Woolen Mittens are now finished and ready for the queueing. I put the finishing touches on their pattern yesterday. As I'm Miss October 2010 in the Yarn4Socks Not So Sock Club, the pattern is now available for order as part of a kit right over here. In addition to a copy of the pattern the kit also includes one skein each of O-Wool Classic 2-ply in Natural and Coal to make the mittens. If you'd prefer to just pick up the pattern, I will be selling copies on Ravelry starting on 1 November 2010. Seriously love them, Jane. I think part of what I love is hearing the name and remembering how much I enjoyed watching the Sound of Music at Christmas as a child. 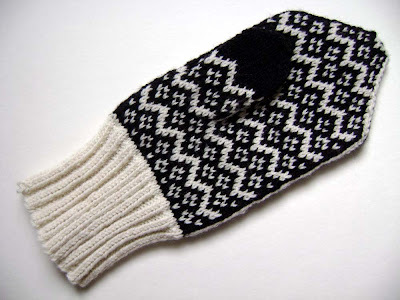 I wish I would have designed a pair of mittens and named them this- I'm a little jealous! September 23, 2010 at 8:37 a.m. These are beautiful! Can't wait to get the pattern. September 23, 2010 at 8:43 a.m. Pretty! But there's no pictures on your website link! September 23, 2010 at 9:21 a.m.
Bonney -- Thank you! I know, that's just the way the site is set up. September 23, 2010 at 9:23 a.m. They look amazing! I love the cable the best. September 24, 2010 at 9:28 a.m.
September 28, 2010 at 4:34 p.m.